In view of the requirement of Indian Industry, we have introduced Power Star Cast Resin (Dry Type) Transformers. This introduction supplements our existing product viz. Vacuum Resin Impregnated Dry Type Transformers. Dry Type Transformers of both the above varieties are in use. The Company has Resin Impregnated Dry type Transformers up to 5 MVA, 11 KV Class. 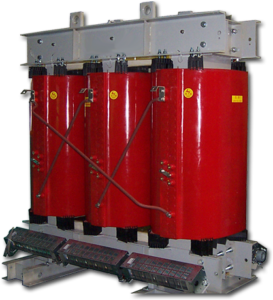 In view of the requirement of Indian Industry, we have introduced Power Star Cast Resin (Dry Type) Transformers. This introduction will supplement our existing product viz. Vacuum Resin Impregnated Dry Type Transformers. Dry Type Transformers of both the above varieties are in use in the Indian Industry. They manufacture Cast resin Power and Distribution Transformers, Converter Transformers, Transformers with On Load Tap Changers (OLTC), Motor – starting Transformers, Testing Transformers, etc. 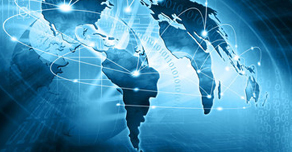 Their specialty is to make special transformers to meet customers’ requirements. 3.3, 6.6, 11, 22, 33KV. Voltages lower than 3.3kv on request. 433 V and around. Voltages up to 11KV on request. F (90°C T`emp. Rise), Others on request. Near Load Center or even near to load. Low as transformer is near to load. Also cable drop is reduced. Suitable for indoor use as no fire risk. Suitable for as low as -25° C ambient temperature. Three limb core construction is used. Core sheets conforming to drawings are made from Cold Rolled Grain Oriented (CRGO) Silicon Steel sheets. Individual sheets come duly coated with inorganic insulation. Circular Core cross section is used which is obtained by assembling number of steps of different widths. Number of steps and step widths are optimized to gain maximum advantage. Mitred joints are used between the limb plates & yoke plates. Fibre -glass tape banding hold the core tight and reduce the noise level. Treatment given to the completed core, protects it from atmospheric corrosion. Both the H.V. and L.V. windings are made from copper conductors. Round wire, rectangular strip or foil is used depending on current to be carried. Layer type or cross over type winding is used depending on current / voltage to be handled. Windings are cast under vacuum. On the H.V. side, inserts are provided to receive tap changing links. Inter connections between H.V. phases are obtained by links made out of copper tubes with their ends formed into lugs. These links are insulated by means of heat shrinkable tubes. Protection against Overload/high winding temperature can be provided by Thermistors. ALARM and TRIP are provided, when required, by means of Thermistor or RTD sensors can be provided with 2 set points.